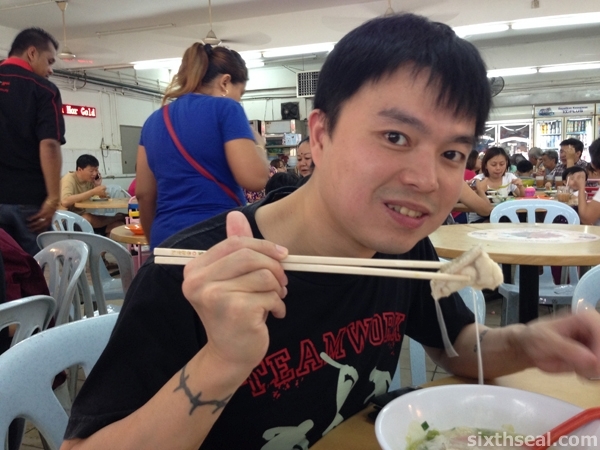 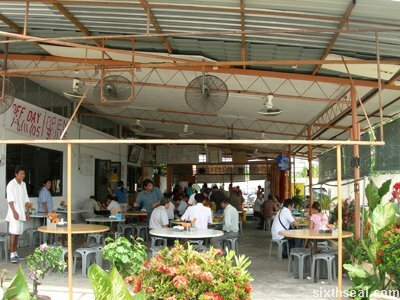 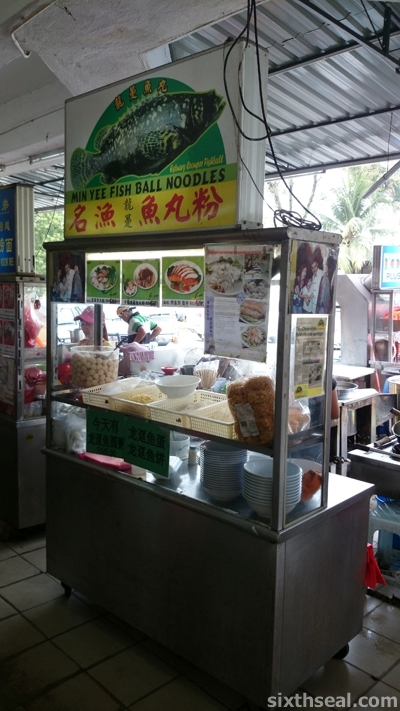 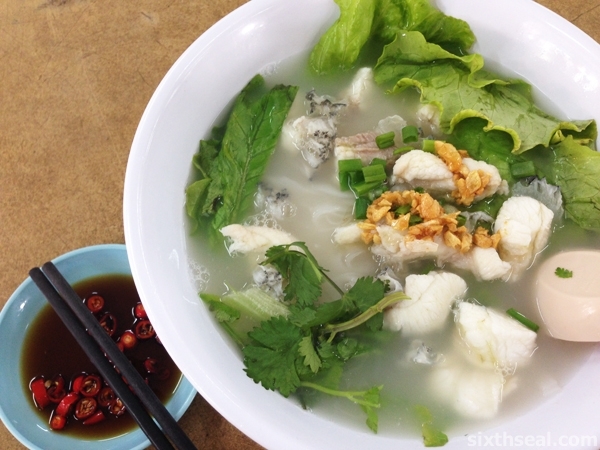 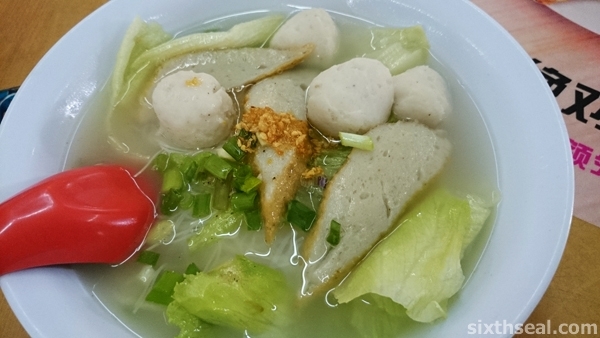 Min Yee is located at the same coffee shop which hosts Ah Po Grouper Noodles so it has some stiff competition. 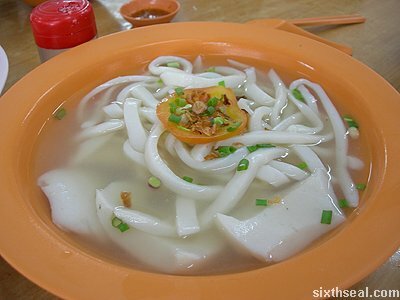 However, their estuary grouper fish noodles are cheaper at RM 18 compared to Ah Po’s RM 22. 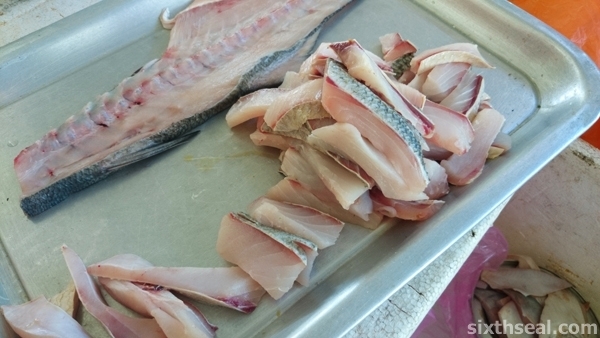 The portion seem to be slightly larger too, at least at first glance – this is due to them not slicing the fish too much and presenting beautifully thick slabs of fresh garoupa. 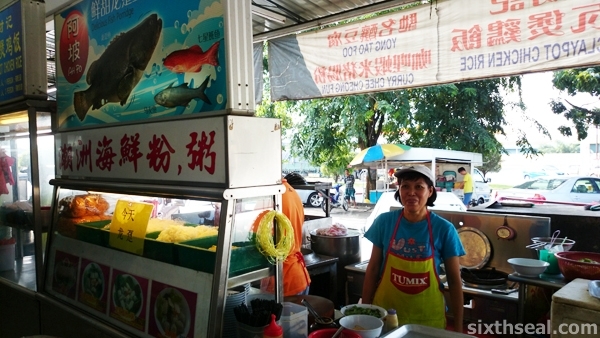 I ultimately found that each stall has its own charms. 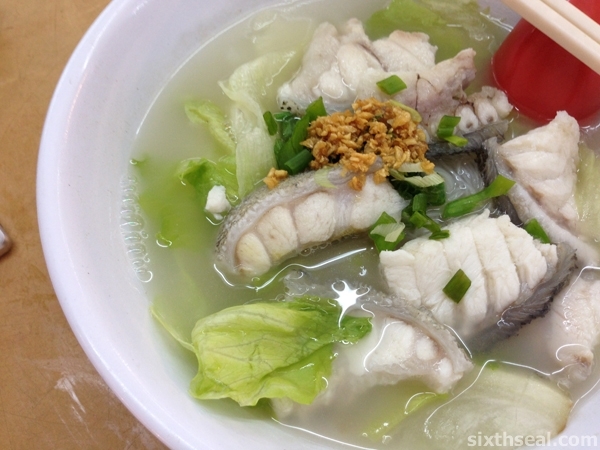 I’ll go for Min Yee’s Estuary Grouper Fish Noodles if I want a simple clear broth, untainted by soup stock, that allows the thick slices of estuary grouper (also known as “Loong Tan”/King Grouper) to shine through. 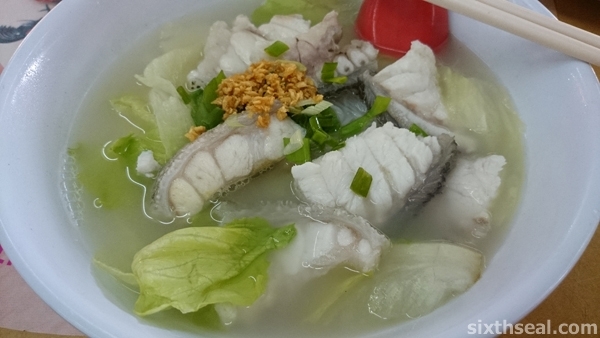 The fish slices are equally fresh but this stall does it thicker so it’s more satisfying to eat. 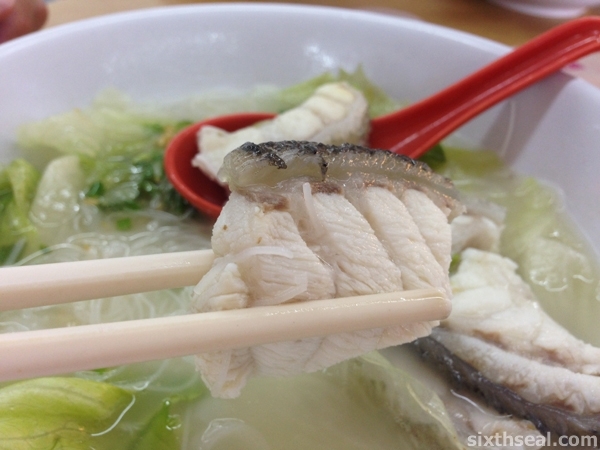 I love eating fish noodles, and I don’t mind paying the higher prices, especially if it’s good fish. 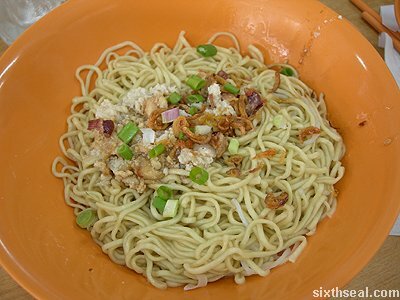 There’s a RM 30 fish noodle in Sibu but the fish noodles I’ve eaten here is a lot better, and more reasonably priced too. 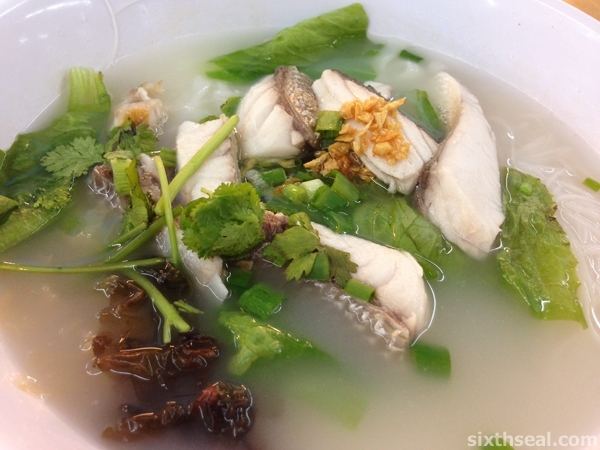 My current favorite is Ah Po Grouper Noodles but Min Yee Estuary Grouper Fish Noodles does a more than satisfactory job too, especially if you prefer a blander broth with no MSG that allows the estuary grouper fish slices to shine through. 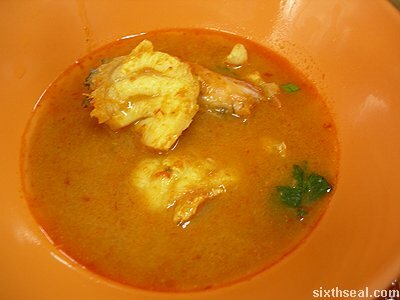 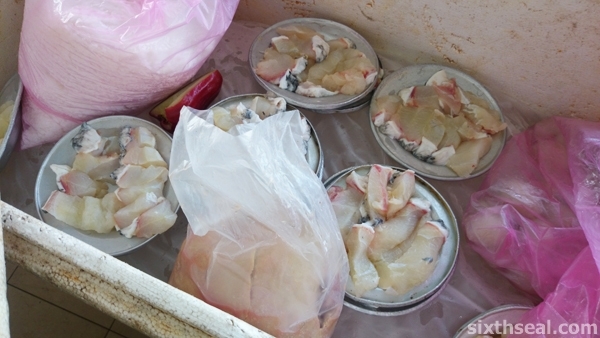 fish is cheap and plentiful in KK due to its proximity to the sea. 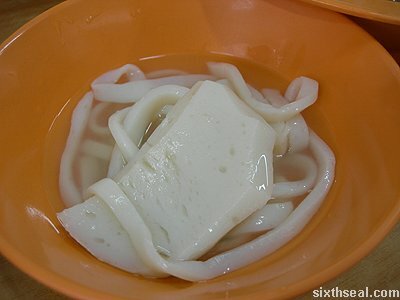 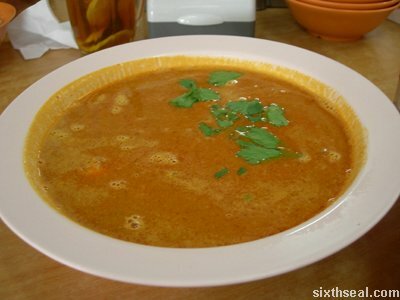 paired with the dry noodle dish. 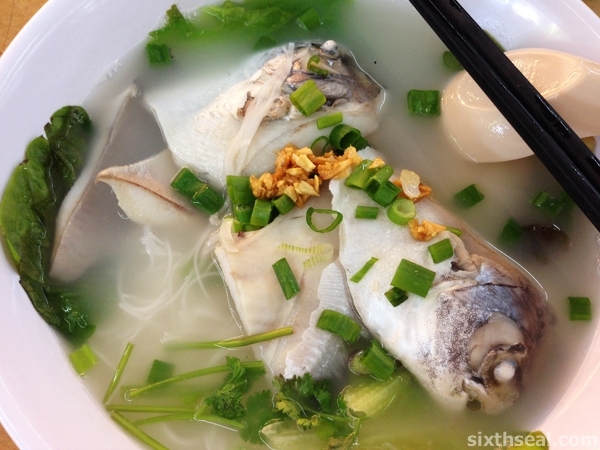 overpower the taste of the fish. 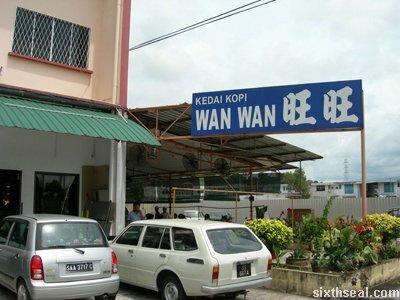 abundance of the former in KK. 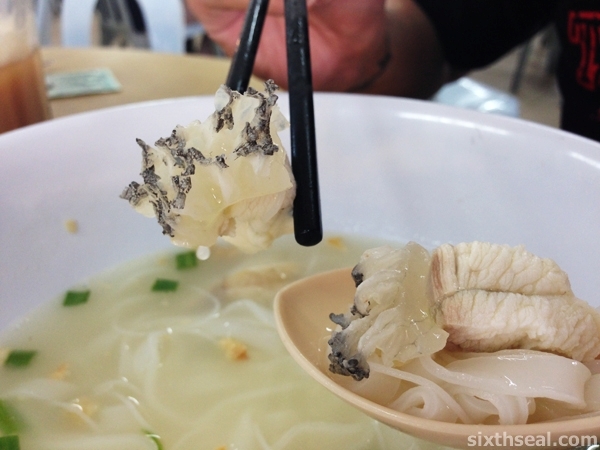 it’s interesting to eat a noodle dish made entirely of fish flesh.